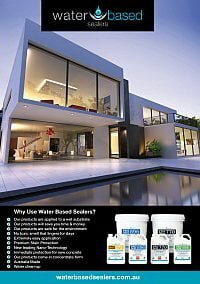 Use Water Based Sealers products with confidence to replace solvent primers and sealers commonly used in the concrete resurfacing industry. 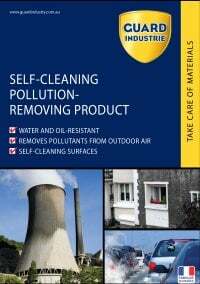 The benefits of using water based include quicker application processes, improved health and safety, and a consistently even finish every time. 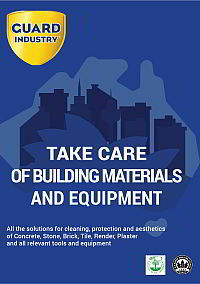 Best of all, you no longer need to worry about moisture spoiling the surface during the application processes. 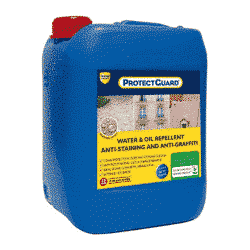 Use Pro Primer 575 to prime damp surfaces immediately after pressure cleaning. Application of resurfacing material can commence as soon as the primer dries. 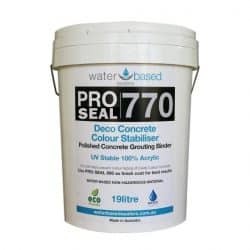 Pro Seal 770 is a cementitious binder and colour enhancer. 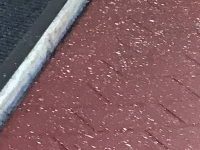 It can be blended into the resurfacing mix in place of other liquid binders to increase strength and enhance & stabilise colours. 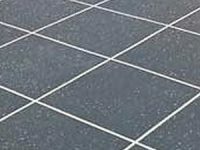 It is also used as the first coat of seal to subtly enhance and stabilise the colours in the resurfacing materials. After removing stencils thoroughly wash down the surface to remove any residual surfactants and apply the Pro Seal 770 while still wet. Once the Pro Seal 770 first coat is dry finish the job with a coat of Pro Seal 896. 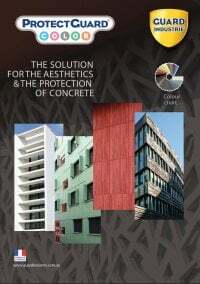 This will provide a nano seal that will increase sheen and protect against all types of commonly encountered staining. 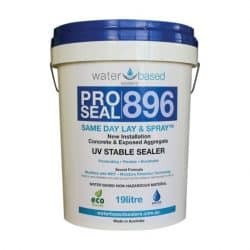 If a higher gloss finish is required consider using Pro Seal 898 as the final coat of the sealing system. 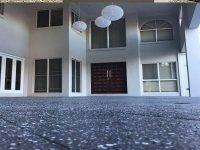 Day one – pressure clean and prime with ProPrimer 575. Day two – resurface, washdown and apply first seal coat of ProSeal 770. Day three – final seal coat of ProSeal 896 and knock off mid-morning! How much better will you sleep at night knowing that first seal coat is down protecting your job?